Margaret Mih Tillman is an Assistant Professor in the Department of History. She received her Ph.D. in Chinese History from the University of California, Berkeley in 2013. Before coming to Purdue, Margaret taught in the History Department and the Croft Institute of International Studies at the University of Mississippi. She teaches East Asian history. 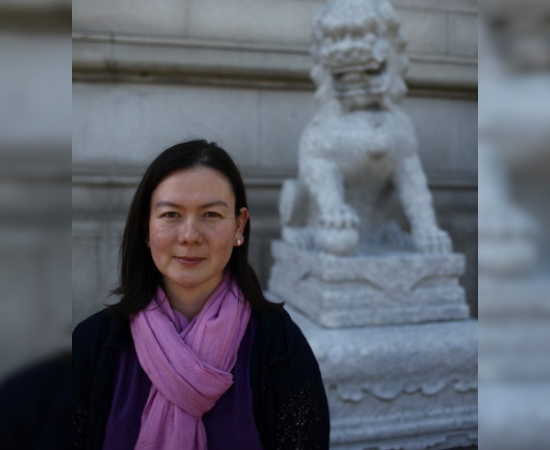 Her current book project examines the establishment of kindergartens and preschools in China from 1903 to 1953. “Precocious Politics” highlights the political ramifications of socializing pre-literate children outside of the home and illustrates some of the ways in which the Chinese state, from the late Qing to the early years of the People’s Republic of China, legitimized its power and increased its reach into family life. Margaret conducted archival research in Taipei, Shanghai, and Beijing, with grants from the Center for Chinese Studies (National Central Library, Taiwan), the Chiang Ching-kuo Foundation, and the Fulbright DDRA, and a PRC 985 Research Grant through Fudan University. She first began to study abroad when she attended the preschool affiliated with Peking University in the mid-1980s.